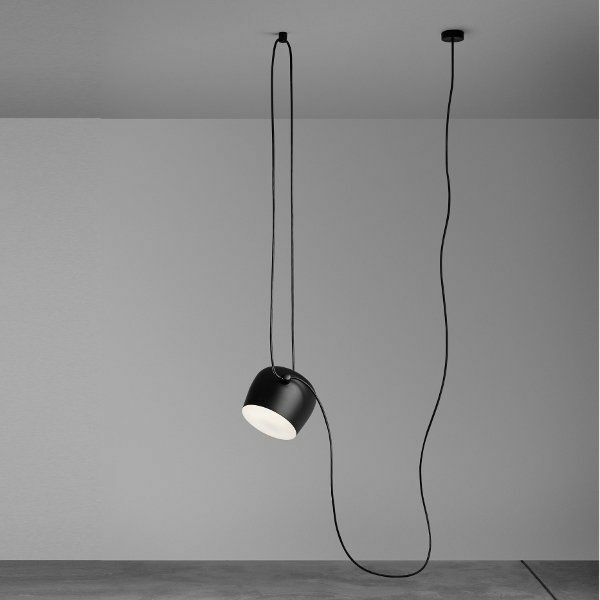 Product information "Aim single pendant"
The vision for the Aim pendant lamp was to develop a lamp that offers endless possibilities for being adaptable to your own needs. This way the light can be directed precisely. There is actually no need to install this lamp as a classic pendant lamp at all. The applications seem to be limitless which is in turn enhanced by the Italian manufacturer Flos by offering the design of R. & E. Bouroullec in different colors. Please note that more than one AIM single pendulum can only be used in combination with the multiple rosette. Dimensions in inch (WxHxD): Ø9,56" x 8,30"
Related links to "Aim single pendant"